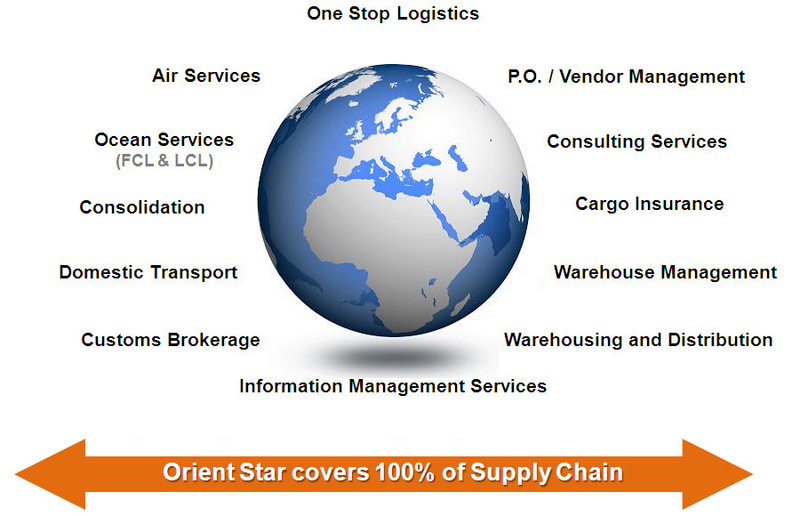 Orient Star Group (OST) was established in 1984 with the idea of providing global logistics services with a personal touch. We combine the tradition of service excellence with advanced technology to facilitate the most unique logistics services. We accommodate the logistical requirements of every importer by offering a full range of tailor-made services. Orient Star offers Inventory, PO, Warehouse, Pre-Distribution Management System as well as full 3rd party logistics solution in addition to the traditional forwarding services. Having 21 branch offices with around 600 Delegated Professional Staffs and sophisticated IT system, we assure the most reliable services by providing high visibility on the freight movement across the supply chain.